Christina (Tina) Dillahunt-Aspillaga is an Assistant Professor in the Department of Rehabilitation and Mental Health Counseling at the University of South Florida. Her interests and research areas include employment for persons with disabilities with an emphasis on traumatic brain injury (TBI) and community capacity building. Currently, she is working on research focusing on community re-integration and the employment needs of Veterans with post-deployment TBI, polytrauma and related sequelae. 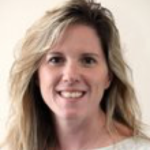 Christina previously worked as the Director of Family Programs and Services for the Brain Injury Association of Florida, Inc. She holds certifications as a Certified Rehabilitation Counselor and Vocational Evaluator, Certified Life Care Planner, and Certified Brain Injury Specialist Trainer. Donald W. Barnes achieved a Master’s in Health Science in Rehabilitation Counseling from the University of Florida in 1977. 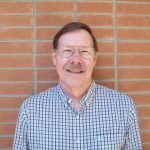 He has been a Certified Rehabilitation Counselor since 1979, Don has worked with people with disabilities for over 39 years. He worked over 15 years with the State of Florida as a Vocational Rehabilitation Counselor with both the Division Vocational Rehabilitation and the Division of Blind Services. He worked for 12 years at the VA Medical Center as part of a team researching treatment for people with difficult-to-control complex partial seizures. 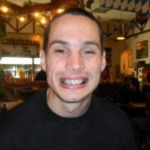 Don has worked for the last 10 years as a Consumer Specialist and most recently as an Outreach Specialist with the Center for Independent Living of North Central Florida. Don is a Board Member for the Florida Rehabilitation Association. Richard Chapman is a licensed mental health and rehabilitation counselor in the state of Florida. He graduated from the University of South Florida with a Master’s degree in rehabilitation and mental health counseling, with certifications in marriage and family therapy. Currently, he is a PhD student at the University of South Florida studying counseling education and supervision. His therapeutic philosophy is based on cognitive behavioral therapy and person centered therapy. Richard’s primary areas of specialty include issues of abuse and trauma, domestic violence, addictions and disability, utilizing empowered-based approach. 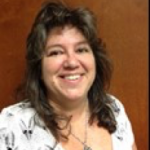 Denise Giarrusso is the Associate Director of Student Support Services at Florida State College at Jacksonville. She has a Master of Arts degree in Rehabilitation and Mental Health Counseling, and more than thirty years’ experience working with Floridians with disabilities in a variety of settings. In her current position, she collaborates with administrators, faculty, staff, and student to navigate accommodation to reduce or eliminate barriers and insure access within the college community. In addition, she works closely with local county school personnel, Project 10: Transition Education Networks, state, federal and local nonprofit agencies to promote awareness of accessibility services available to postsecondary students and coordinates referrals to meet individual student needs. Chris Hallissey holds a master’s degree in Rehabilitation and Mental Health counseling from USF. He is a Certified Rehabilitation Counselor, Licensed Mental Health Counselor, and Internationally Certified Psychometric Evaluator. Mr. Hallissey is passionate about guiding individuals in accessing their potential to develop meaningful and rewarding careers. For the past five years, he has provided vocational counseling and evaluation services to individuals with disabilities transitioning to employment. 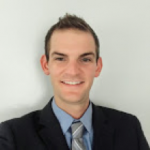 Mr. Hallissey is an at large board member for FRA, the Secretary for the Tampa Bay FRA chapter, and the Membership Chair for the Vocational Evaluation and Career Assessment Professionals (VECAP). 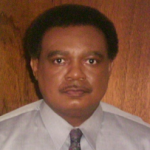 William Hudson is the former Associate Dean/Associate Professor in the School of Allied Health Sciences at Florida A&M University in Tallahassee, Florida. He currently serves as Special Assistant to the Dean on a part-time basis. He is a Certified Rehabilitation Counselor and a Certified Habilitation Specialist. He received a Master’s degree in Rehabilitation Counseling and a doctorate degree in Rehabilitation Services all from Florida State University. His specialty areas are Community Transition, Specific Learning Disabilities (including study skills and test anxiety), Head Trauma, Traumatic Brain Injury, and Individual, Family and Group Counseling. He has coordinated the Rehabilitation Services Management Concentration located in the Division of Health Care Management at FAMU. Dr. Hudson has more than thirty three years of experience in the fields of Vocational Rehabilitation and in the education profession. He has more than twenty years as an postsecondary education administrator. He has authored more than 38 articles which focused on research completed in the areas of incarcerated juveniles with learning disabilities, retention and progression of first time and second year college students, the development and effectiveness of an early alert warning system, the provision of health related services to the rural elderly, and death and dying. His continued research interests have been the effects of body biases of health care professionals in the provision of services. Dorjan Kraja is Certified Rehabilitation Counselor in Tampa Bay. Dorjan graduated from the esteemed Rehabilitation and Mental Health Counseling program of the University of South Florida. He currently helps individuals with severe and persistent mental illness regain independence and return to work. Dorjan is a Board Member at Large for the FRA and the Vice President for the Tampa Bay FRA Chapter. Andrea Melvin is the Satellite Office Manager and Certified Vocational Evaluator for the Center for Independent Living of North Central Florida, where she has been employed since 2001. She received her Master’s of Health Science in Rehabilitation Counseling from the University of Florida. She has served as FRA secretary since 2003. She assists people with all types of disabilities to be as independent as possible and helps people to find the types of jobs that work best for them. 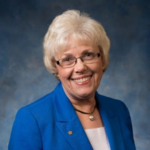 Linda K. Rimmer has more than 36 years of experience in the area of social services, most of which have been with Goodwill Industries. Before joining Goodwill Industries of Central Florida, where she has been the VP of Vocational & Community Services for the past 21 years, she had also worked with Goodwills in Florida, Texas, and Pennsylvania. She is a Past-President of the Florida Rehabilitation Association and has served on the National Rehabilitation Association’s Board of Directors. She volunteers her time on the Board of La Amistad Foundation, where she currently serves as Board Chair; the School Advisory Council for Winter Park Technical College; the Heart of Florida United Way’s Prosperity Campaign Advisory Council; and she also serves on the state Board of Directors for the Florida Prosperity Partnership and as a Board Member of the Florida Rehabilitation Association. 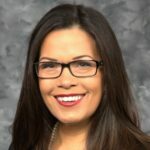 Ms. Rimmer has a Master’s degree from the University of South Florida and is a CRC; a CVE; a PVE; a CARF surveyor; and a graduate of the Leadership Orlando program. Karla Wooten has her Masters degree in Rehabilitation Counseling from the University of Florida. She is a Certified Rehabilitation Counselor, Certified Vocational Evaluator, and Professional Vocational Evaluator. Ms. Wooten is a private Rehabilitation Consultant practicing evaluation in the forensic area and as a vendor for the State of Florida agencies. She has also taught graduate level Vocational Assessment classes at the University of Florida as well as served as an adjunct instructor at Santa Fe College for Life and Career Development courses. 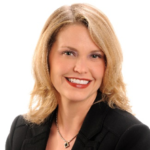 Ms. Wooten has been an evaluator for approximately 20 years in the North Central Florida area. 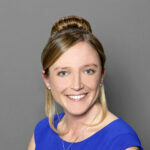 Kristin Kosyluk is an assistant professor in the Department of Mental Health Law & Policy and faculty affiliate with the Louis de la Parte Mental Health Institute. Dr. Kosyluk received her Ph.D. in Psychology from Illinois Institute of Technology’s Rehabilitation Counseling Education program in 2014. Dr. Kosyluk’s research agenda is defined by a focus on mental illness and psychiatric disability, with a special interest in social justice issues and stigma. Much of her work to date has investigated how stigma interferes with outcomes for this population. As a rehabilitation counselor, she recognizes the crucial role that vocation plays in the lives of individuals with disabilities, and has undertaken work in the area of employment and postsecondary education. Much of Dr. Kosyluk’s research has focused on mental illness stigma in postsecondary settings. Her dissertation was a randomized controlled trial of contact- and education-based anti-stigma interventions, evaluating their impact relative to a control group on stigma, discrimination, affirming attitudes, and attitudes towards treatment seeking in a postsecondary setting. She was a 2011 Active Minds Emerging Scholars Fellow and received funding through this fellowship to empirically develop the Mental Health Unity (MHU) program, a program meant to promote an environment of solidarity and support on college campuses for students with mental illness. In addition to program development, Dr. Kosyluk also has expertise in program evaluation. She is currently PI on a Recovery Oriented Research Grant from the Hogg Foundation for Mental Health supporting a randomized controlled trial of the National Alliance on Mental Illness’ Peer-to-Peer program. She is also involved in an ongoing partnership with This Is My Brave, Inc. (TIMB), a 501(c)3 non-profit organization dedicated to ending mental illness stigma through storytelling. Dr. Kosyluk has partnered with Ms. Jennifer Marshall, Co-Founder and Executive Director of TIMB, to evaluate the impact of TIMB performances on audience members and members of the cast. Dr. Kosyluk is also currently conducting a randomized controlled trial of the Spanish language version of the Narrative Enhancement and Cognitive Therapy (NECT) program, a program meant to reduce self/internalized stigma through cognitive and narrative therapy. Copyright © 2019 Florida Rehabilitation Association. Powered by WordPress. Theme: Spacious by ThemeGrill.